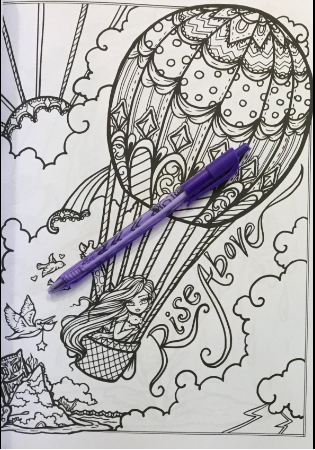 A creative and delightful adult coloring book from Hannah Lynn - creator of the Whimsy Girls coloring books. 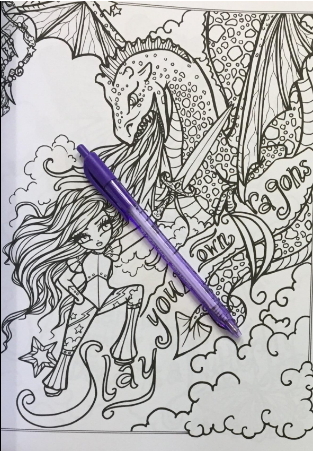 Your adventure begins with a story about the girl who is featured throughout the book (and even these pages include some coloring areas). Next come 27 delightfully whimsical drawings with our heroine in a variety of situations, each with an upbeat quote or saying. 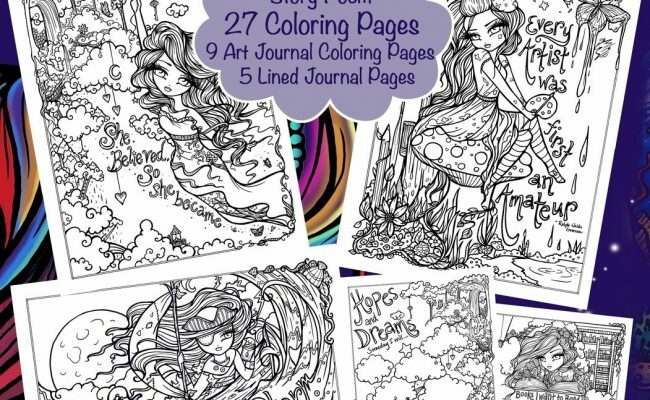 The book ends with 9 "Art Journal" coloring pages, plus an additional 5 lined pages (with a few illustrations) for additional journaling. If you like Hannah Lynn's illustrations style, this could become your new favorite. 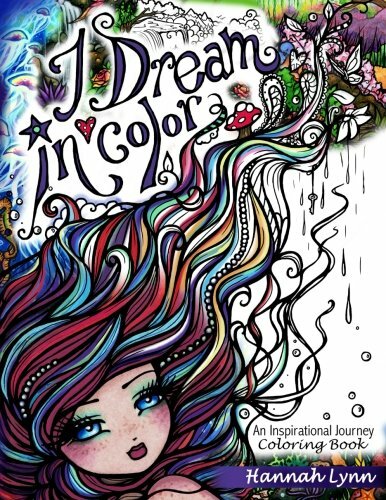 It has a very inspirational feel and illustrates the journey of a girl who is brave and strong. And the drawings are lovely. 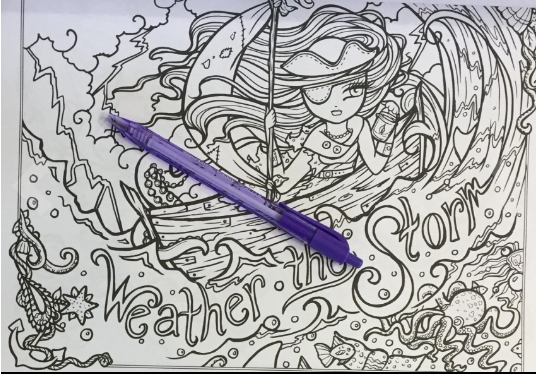 In keeping with Hannah's own style they use bold thick lines, and offer moderately complex designs for coloring. Unfortunately, the paper quality seems to be a bit downgraded in this book, compared to earlier ones. 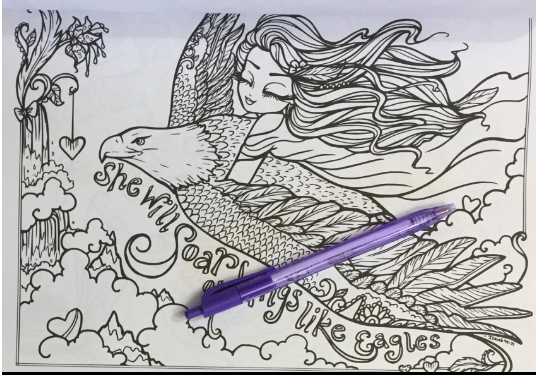 The paper texture has a bit more tooth and tends to curl as you work with it. Hopefully that will be improved with future printings. 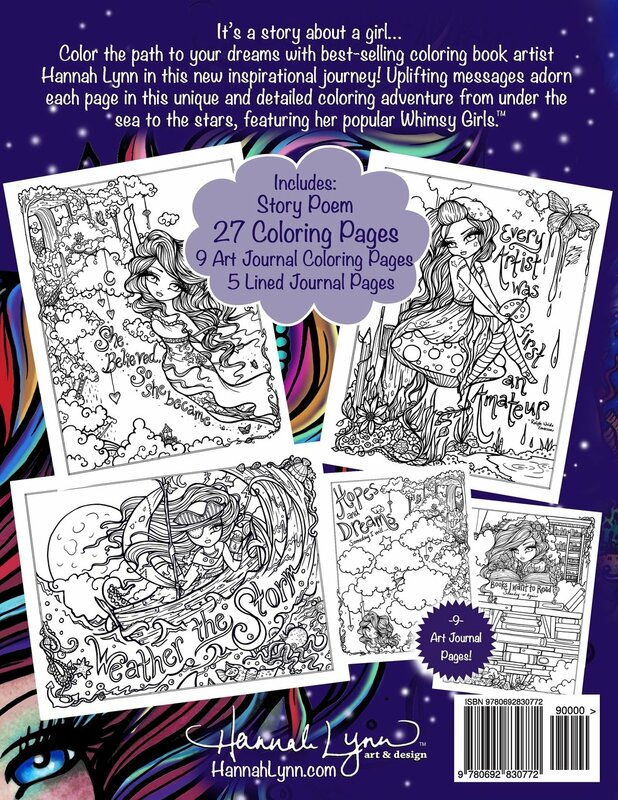 In any case, the pdf version is available you so can print on your favorite paper and relive the journey with all new colors!